Lettuce is, arguably, the most popular diet food out there. This green leafy vegetable is typically eaten with sandwiches, salads, tacos and dishes common to the Chinese. It comes in various forms, such as butterhead, loose leaf, Chinese, summer crisp, crisphead, and romaine. The health benefits of lettuce are substantial. They are packed with nutrients that are very good for various parts of the body and in preventing some types of diseases. One of the major benefits you can get from eating lettuce is healthy skin. Lettuce is very helpful in revitalizing the skin. Its vitamin A improves skin turnover — the process of producing new skin cells. When you have enough vitamin A in your system, you don’t have to worry about dead skin cell buildup; you’ll always have fresh-looking skin. The combination of vitamins C and E help keep skin healthy as you age. They provide protection from the harmful rays of the sun, which reduces wrinkles and the possibility of skin cancer. Eating adequate amounts of lettuce daily also minimizes the risk for macular degeneration and cataracts. As beneficial lettuce is to the skin, it’s also great for maintaining a beautiful head of hair. 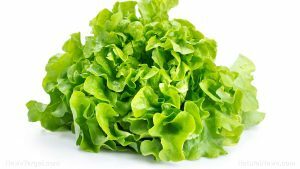 The nutrients found in lettuce can stimulate hair growth, prevent hair fall, and keep the hair from losing its natural color. And since it’s good for the skin and hair, you can count on lettuce to be good for the nails as well. Lettuce has anticancer properties and is known to be helpful in reducing the risk for mouth and lung cancers. Its potassium content can help control blood pressure and regulate heart rate, reducing your risk of stroke and heart attacks. From the hair to the nails on your toes, lettuce has something to offer. Its nutrients can make hair stronger and shinier. It keeps skin glowing and healthy as well. Lettuce is also known to have anti-spastic effect and functions as a sedative, which makes it a good sleep aid. The low-calorie and high-fiber content of lettuce makes it ideal for losing weight. Regular consumption will definitely keep your waistline trimmed. The phytonutrients are also helpful in preventing certain types of diseases. Lettuce promotes heart health. Iron helps improve blood hemoglobin and keep you from experiencing heart-related problems. Its protein content, meanwhile, helps improve muscle development. There are so many ways to enjoy this green leafy vegetable. Popularly used in salads and sandwiches, lettuce can also be added as another ingredient to soups and noodle dishes. You can grill it, braise it, or use it as a wrap. You can even make lettuce juice. Here are some lettuce recipes you can try. Lettuce is great for shedding off the extra pounds and maintaining weight. Lettuce keep hair, skin, and nails strong and beautiful. Lettuce aids in preventing heart-related diseases. Lettuce prevents skin, mouth and lung cancers.